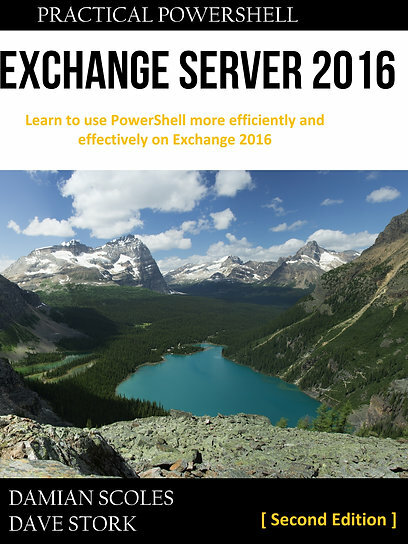 Recently I was working on building an hybrid Exchange 2013 environment. 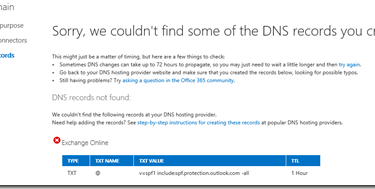 During the setup for specific mail domains, Office 365 didn’t seem to see the DNS records required. In this case it was the SPF record, that would not be accepted. Correcting this “typo” resolved the issue quickly and I could continue with other changes. So if your DNS records check fails, check the case! Sidenote: This also means you cannot have any deviations in your SPF record, when this check is performed. Take that into consideration, it can impact your specific mail flow design or other services that should be allowed to mail.